Twilight Operations hosts weekly races on Tuesdays in the Eugene area from May to September (plus weekend cyclocross races October-December) for riders of a wide range of age, fitness, and skill. 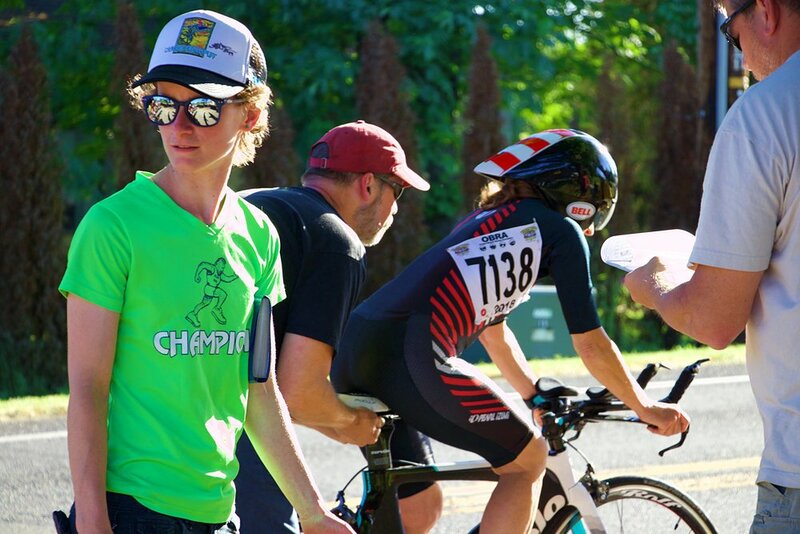 All events are sanctioned by the Oregon Bicycle Racing Association (OBRA) and made possible by the generosity of volunteers and sponsors. Bicycle racing is an unequaled competitive outlet, a fantastic workout, and a way to build teamwork and/or friendly rivalries with like-minded cyclists. Local weekly races provide the ideal venue for first time beginners to gain experience and for elite racers to train for success on the regional, national, and international level. We welcome spectators! If you are new to bicycle racing, check out the "New to Racing" page! If you have questions about getting involved as a racer, volunteer, sponsor, or race official, don't hesitate to use the contact form.